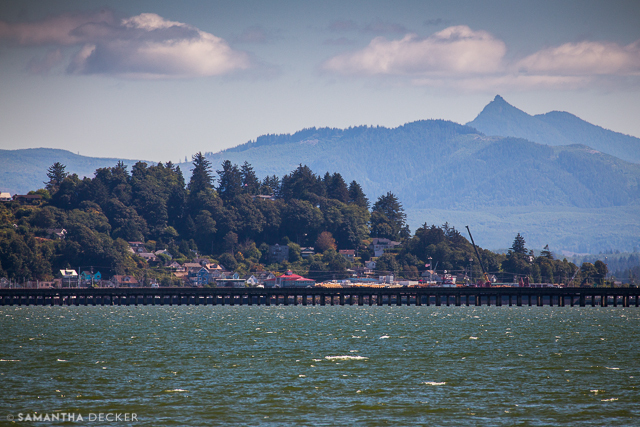 This is the fourth in a series of posts about my Pacific Northwest trip. 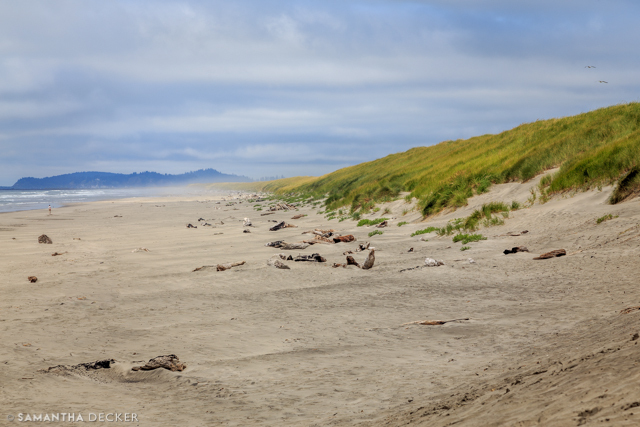 In this post, I am going to share photos I took at some of the Oregon Coast historic sites. 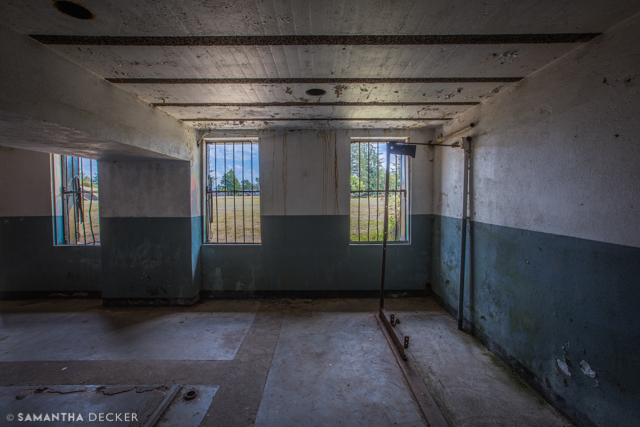 If you haven't already, please check out my posts on the Columbia River Gorge, the Timberline Lodge, and the Northern Oregon Coast. 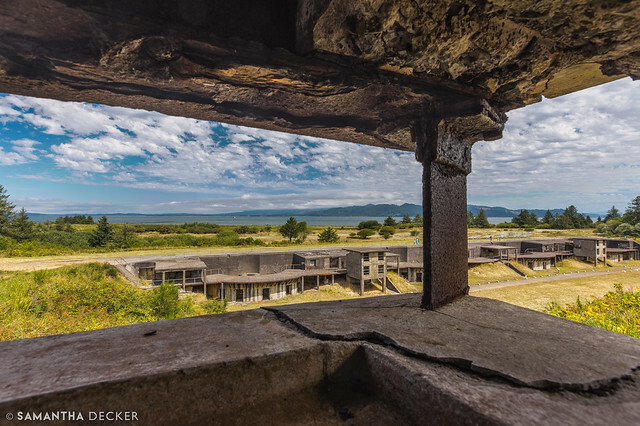 The first place I'm going to share is called Dismal Nitch, which is actually in Washington, but what you're seeing in the photos is across the Columbia River to Oregon. The Pacific Ocean is just a couple miles to the west. 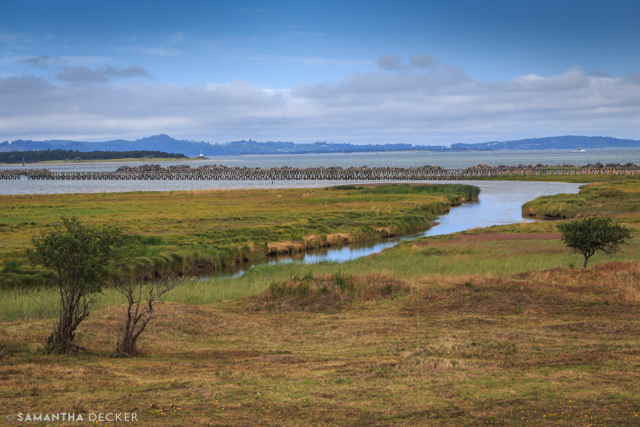 Dismal Nitch is simply a rest area today, but it is noted as being a stop on Lewis and Clark's journey where they were facing a great deal of hardship. Lewis and Clark were amazed and impressed by the local Chinook Indians' aerodynamic canoes, which where much slimmer than the ones they were using. 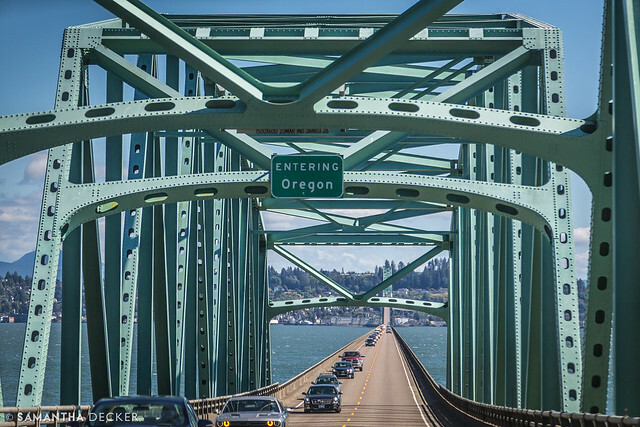 The Astoria-Megler bridge connects Dismal Nitch to the state of Oregon. 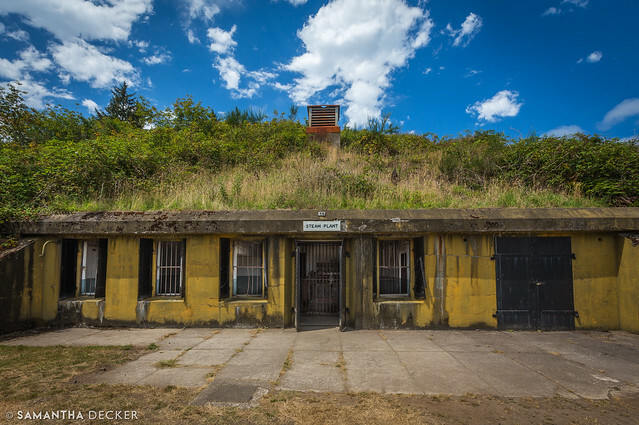 Fort Stevens is our next stop. 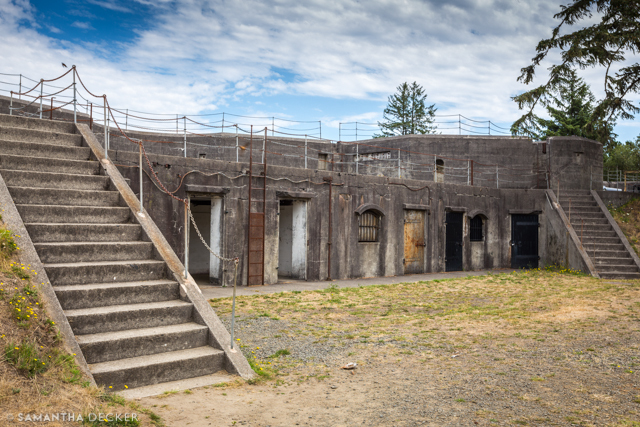 This fort was used in the Civil War and World War II. 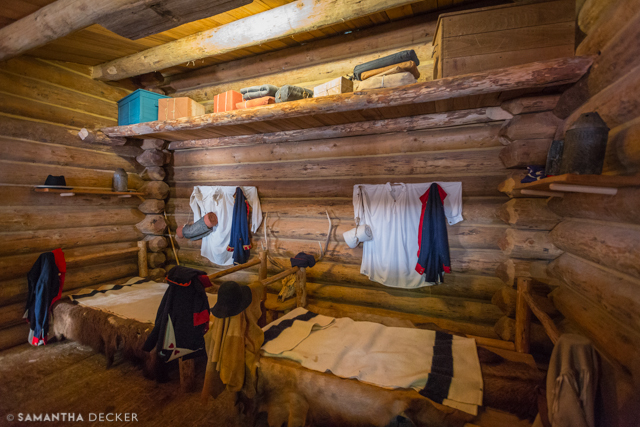 Today, visitors can explore the various buildings in the fort. 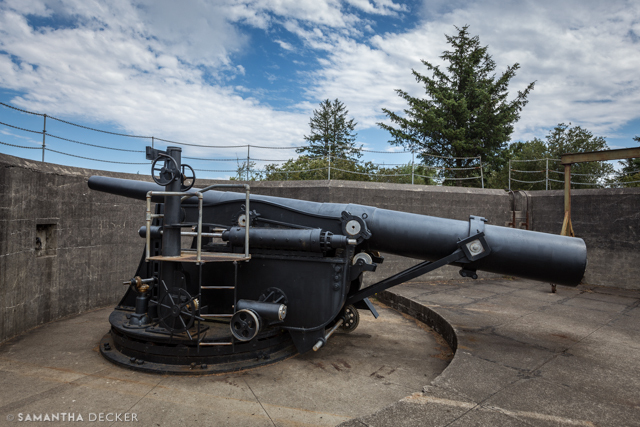 A large military gun sits on a turret at a gun fortification station. 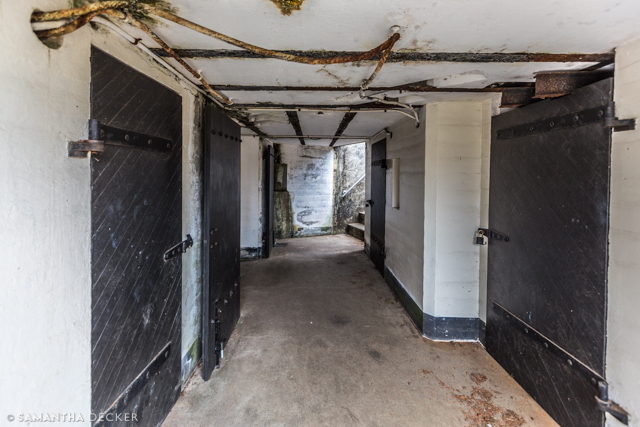 Looking into an ammunition storage bunker. 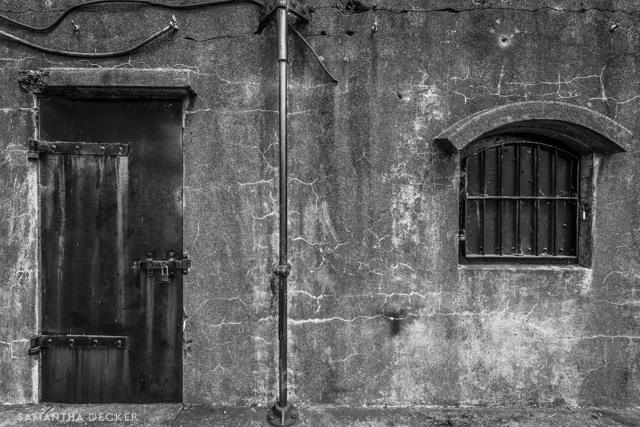 Another shot of the bunker. 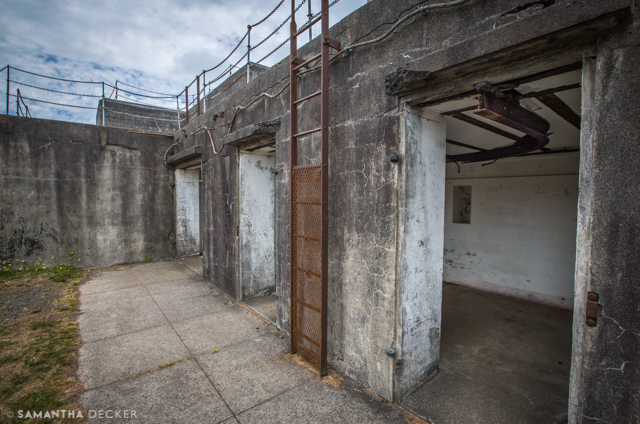 These pads at one time housed generators that ran power to the guns. Out in the water you can see a fortification line. 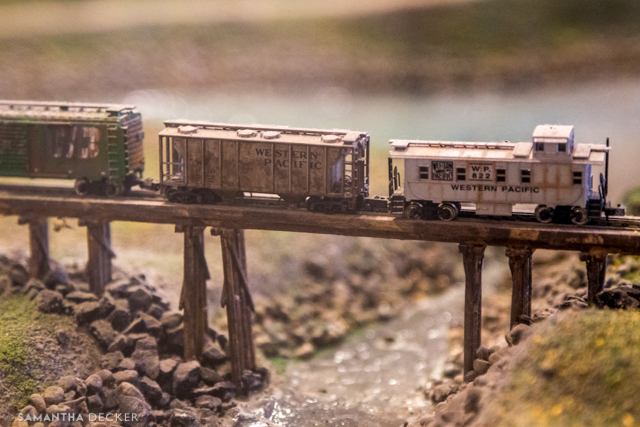 At the visitor's center you can look at a model of the fort and surrounding area when it was in use. On to the beach! But what for? 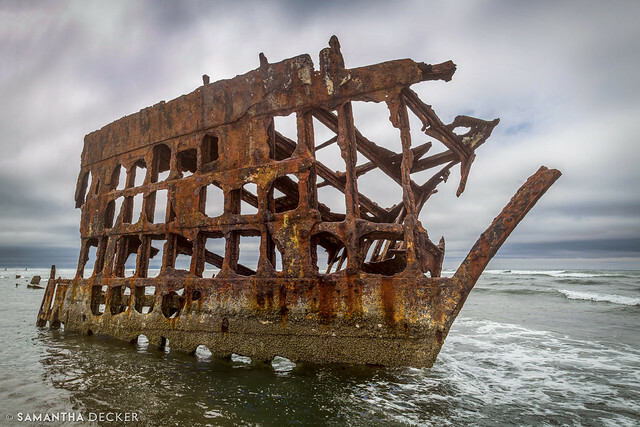 On the shores of Fort Stevens lies what's left of the Peter Iredale shipwreck, which has been sitting here since 1903. 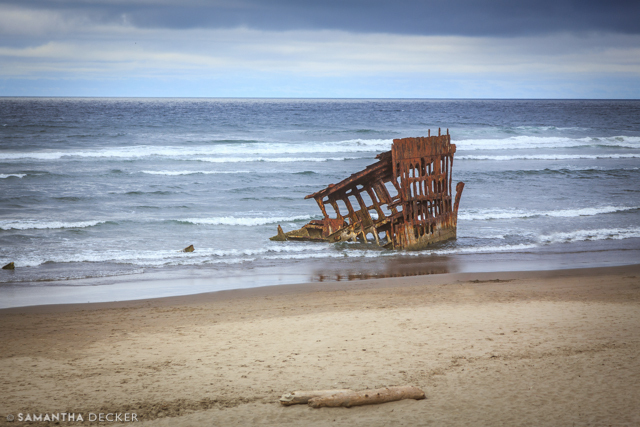 I wanted to get a close shot of the wreck, so I waded out a bit into the water to get this shot. I ended up with really wet pants, but also a shot I really like. I'm just really glad I didn't trip and fall and submerge my camera in saltwater. Pants are easy to dry. Camera, not so much. 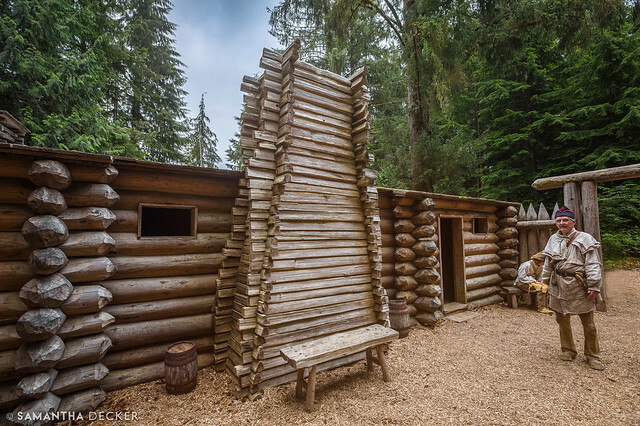 Next stop is Fort Clatsop, part of Lewis & Clark National Historical Park. 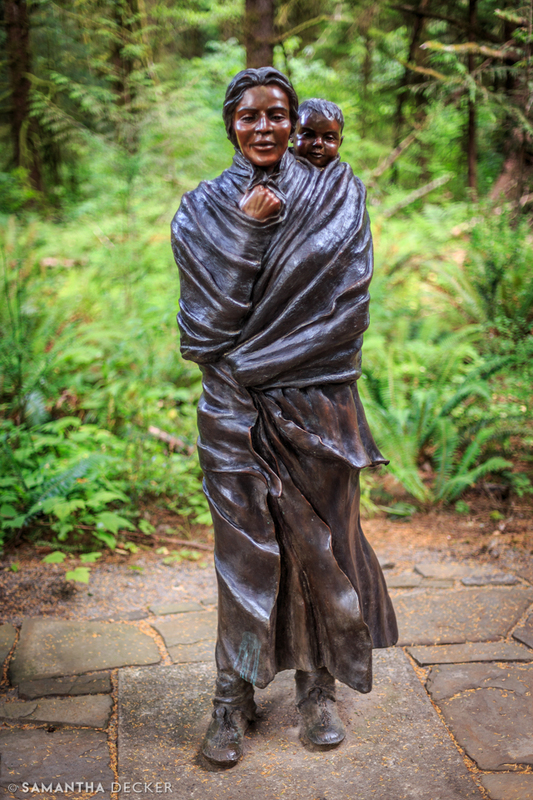 Above is a statue of Sacagawea and her baby son. 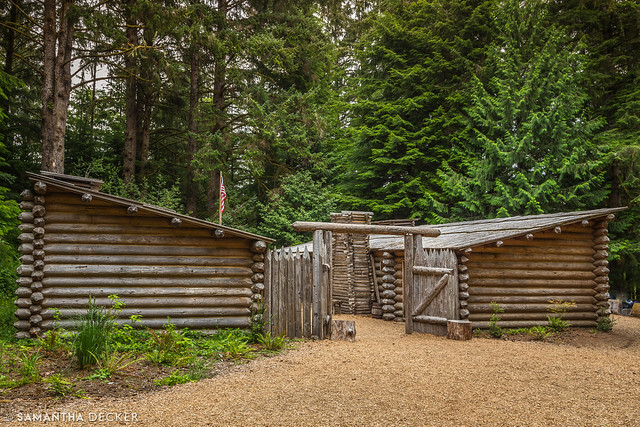 Fort Clatsop is a recreation of the outpost Lewis and Clark set up in Oregon at the end of their expedition before heading back home. Here, they stopped for several months to make supplies to last their way back. 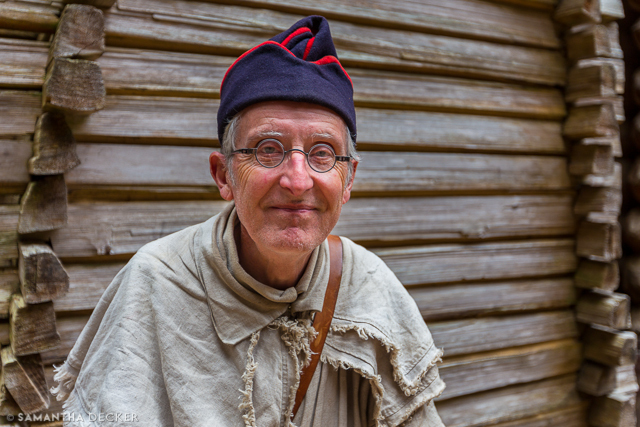 The interpreters at Fort Clatsop did a great job giving us a feel for what life was like when Lewis and Clark were here preparing for their journey back home. 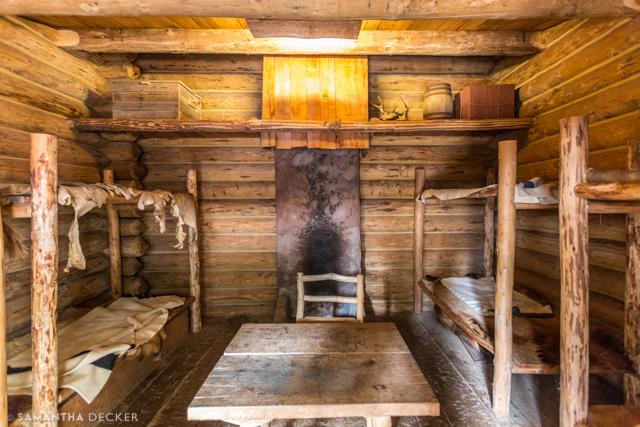 Above, where Lewis and Clark slept. 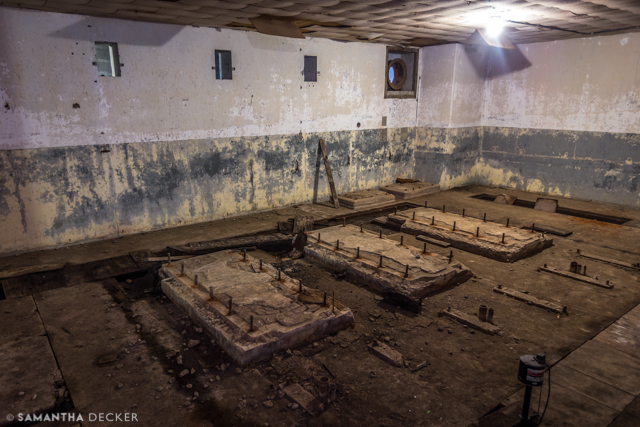 Above, another room, where the enlisted men slept. Those are all the historical sites I had time to visit on my trip. There are plenty of others nearby, though. 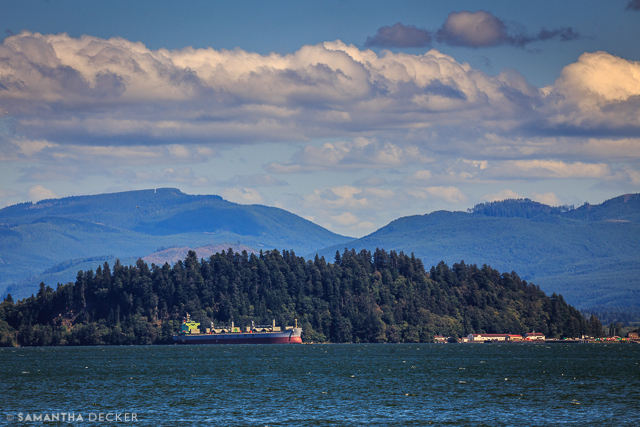 In my next post, I'll share photos I took in the Union, WA area.